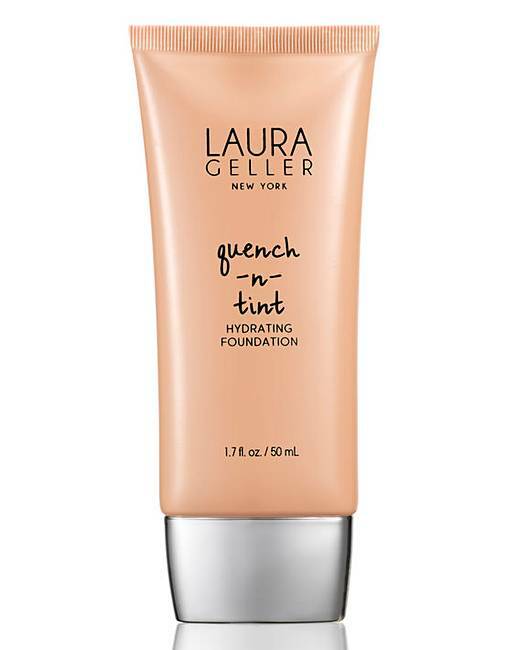 Laura Geller Quench 'n' Tint Hydrating Foundation. Quench your skin with this intensely hydrating foundation. With a wash of colour, coverage is as weightless and refreshing as a splash of water, leaving skin with a natural glow. Shade: Light - Light beige with balanced pink and yellow undertones. How to use: Apply a small amount to the face with fingertips, starting from the centre of the face and blending outward. Repeat application until desired coverage is achieved.